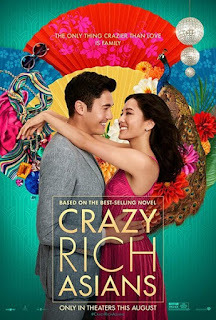 By now, I am pretty sure that most of you have seen/heard of the media buzz from the newly released movie, Crazy Rich Asians (based on Singapore-born Kevin Kwan's 2013 novel with the same title), being a movie buff, I am very excited about the movie. The very first piece of good news is, the movie was released last week in US and it topped the box office with a crazy 5-days opening of USD 34 millions (the movie was reported with a budget of USD30 millions). With the box office pressure being taken care of and both movie critics and fans are singing praise about the movie, I am sure it will be a great milestone for more Asian cast movies in the pipeline. The second piece of movie is that a sequel project has been confirmed by the director, Jon M Chu, probably based on the second book of Kevin Kwan, China Rich Girlfriend . It is not just a movie, but a movement, a stepping stone to open the door for talented Asians (not only Singaporeans) to be represented/cast in the Hollywood big budget movies. Can you imagine that it has been 25 years since the last "comparable" all-Asians casts movie from Hollywood, in the name of The Joy Luck Club (1993)? So, in order not to wait for another 25 years, do support the movies by going to the cinemas and watch it with your friends/family (trust me, it's worth it). I've just watched the movie today and I must say that it is a great movie (no bias here). 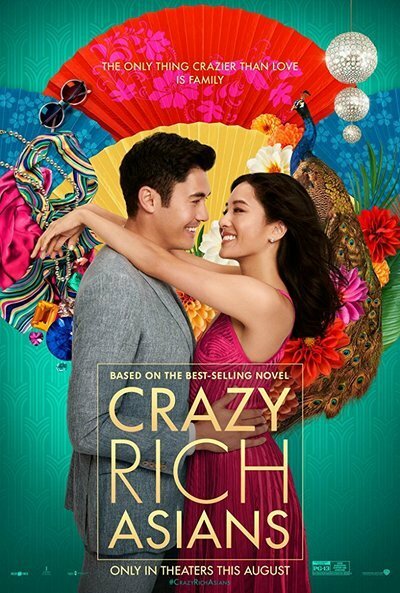 It is colorful, entertaining, funny (especially from Awkwafina, playing the role of Peik Lin, good friend of Rachel Chu, played by Constance Wu as well as Nico Santos, playing Oliver Tsien, the "rainbow" cousin of Nick Young, played by Henry Golding) and heartwarming at the end. Besides, the chemistry among the casts, especially between Henry Golding, Constance Wu and Michelle Yeoh (the entangled triangle). All in all, Crazy Rich Asians is a perfect romantic comedy. From Newton Hawker Centre to Marina Bay Sands, to Gardens By The Bay, there are so many scenes from the movie that most Singaporean can relate to. It is one thing to visit the place but another to see them represented in an Hollywood movie. Even though most of the dialogues in the movie are in proper English, luckily we do have chance to hear a couple of Singlish dialogues (mostly from the Neenah Goh character) which is apt. "Wo Yao Ni Di Ai..."